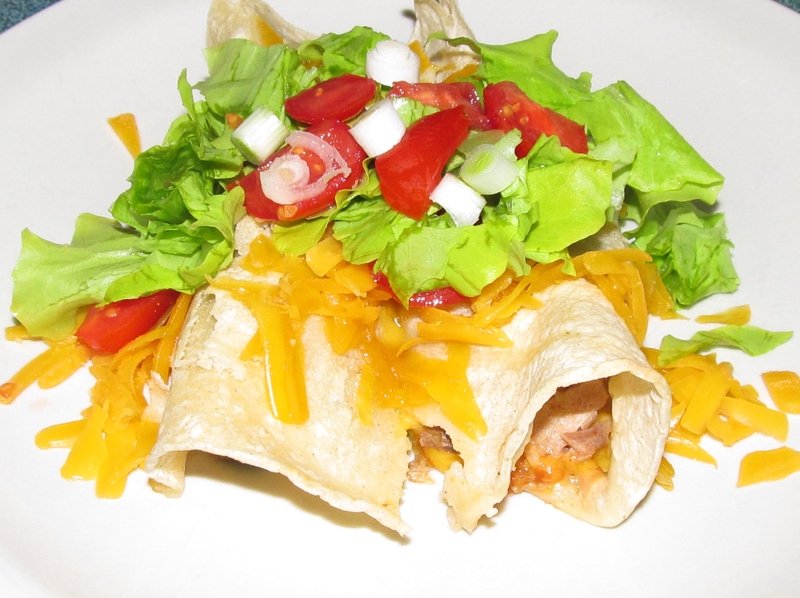 Lay soft tortilla shells on flat surface and fill with about 2 Tablespoons of pork per taquito. 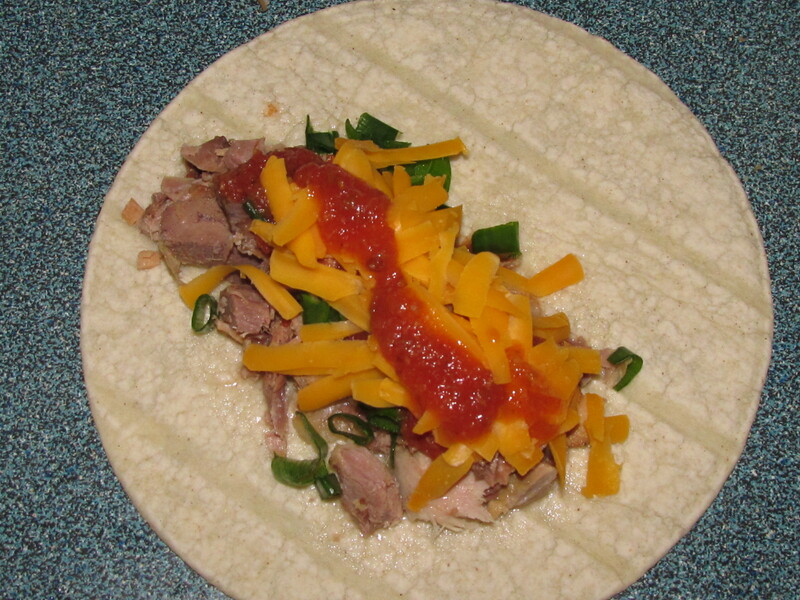 Layer onions, cheese, jalapeno, and salsa, about 1 -1/2 tablespoon each, on top of pork and roll tortilla shell. Lay each filled shell into a greased baking pan, with seam side down, so they don’t unroll. Continue to fill and roll tortillas until pan is full. Brush tops of rolled shells generously with GF oil and bake uncovered for 20 – 25 minutes, or until shells start to lightly brown and turn crisp. Remove from oven and top with cheese, lettuce, or any toppings you desire. We like to also add chopped tomatoes and more salsa. Please note: You need to work quickly with the GF tortillas, they tend to dry out fast.